For her performances, Anne Akiko Meyers plays on the Ex-Napoleon/Molitor Stradivarius violin - which is dated 1697. 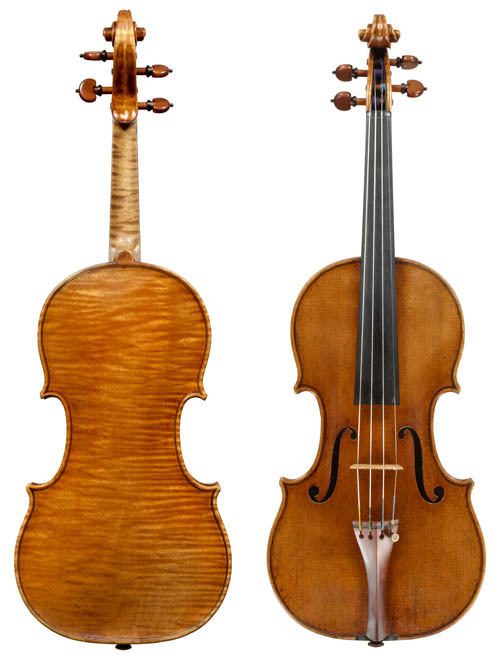 The Molitor Stradivarius violin is believed to have been originally owned by Napoleon Bonaparte (from there, it passed through the hands of numerous distinguished owners), and Anne bought this violin in 2010 for $3.6 million. 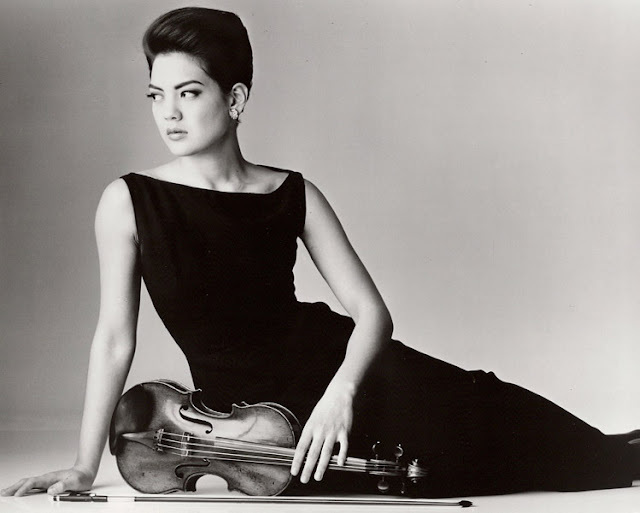 When Anne Akiko Meyers bought the Molitor Stradivarius violin, it was the most expensive violin ever purchased... that is, until the Lady Blunt Stradivarius violin sold on June 21, 2011 for a whopping $16,000,000. 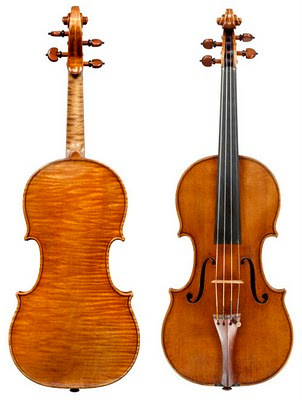 Anne's other Stradivarius violin, the Royal Spanish Stradivarius violin, is merely a "back-up" instrument. A 1730 Stradivarius violin? Oh, pish-posh, 'tis but a back-up. Anne Akiko Meyers writes a blog, tweets, has a facebook page, has a youtube channel, and helps raise money for special causes. January 2013. Important update! Anne was recently give lifetime use of an extraordinary violin, the 1741'Vieuxtemps' Guarnerius del Gesu. Three great violins in her quiver! 'Lady Blunt' Going Once, Going Twice, Sold - For $16 Million Dollars! I heard the wonderful interview of Anne Akiko Meyers on 91.5. The adagio of the Bach Double sh recorded was amazing.